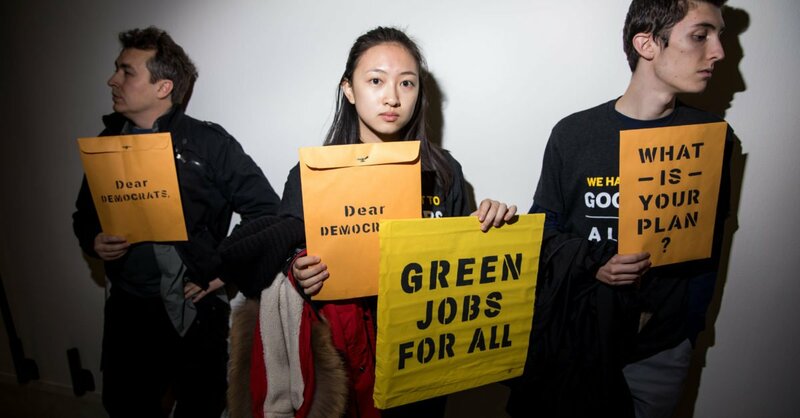 In what will likely be a major disappointment for the Democratic Party’s progressive base, the upcoming Green New Deal legislation will omit the plan’s lauded goal: A specific deadline for ending U.S. fossil fuel development. Student activists with the Sunrise Movement occupy Nancy Pelosi’s office to demand that she and the Democrats act on climate change. Shutterstock.